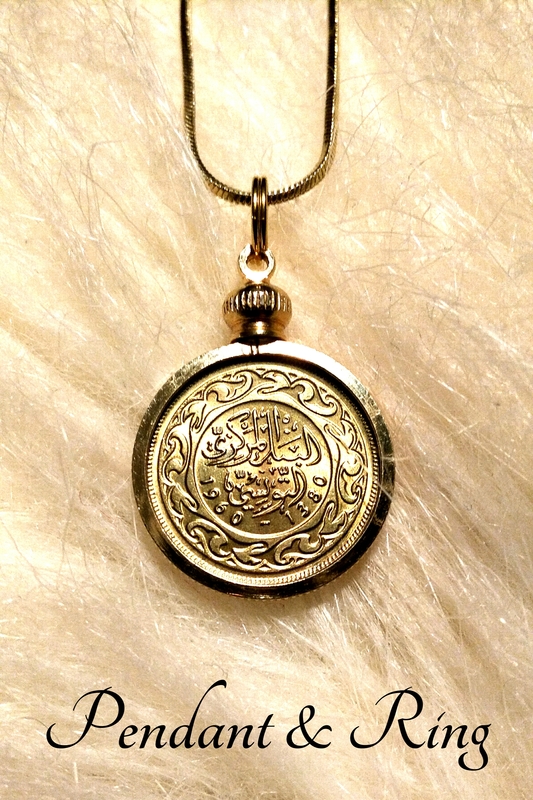 This lovely pendant features a real brass coin from the year 1380 on the Hijri calendar, which was 1960 on the Gregorian calendar in a solid screw top charm holder. This is not a metal token, or artist disk which would only be a millimeter thick. 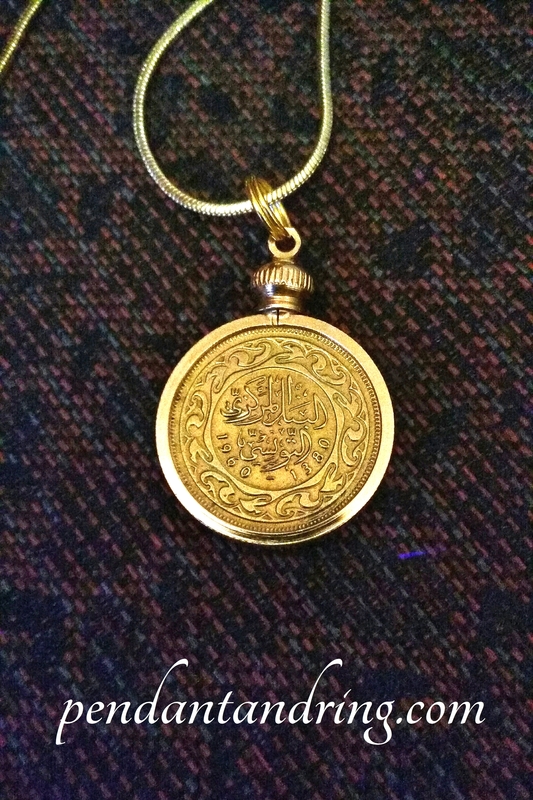 This is a real coin from the Republic of Tunisia, a country in North Africa on the Mediterranean Sea, with beautiful Arabic script. The writing tells us the denomination of the coin, 10 millièmes, and that the bank of Tunisia minted the coin. 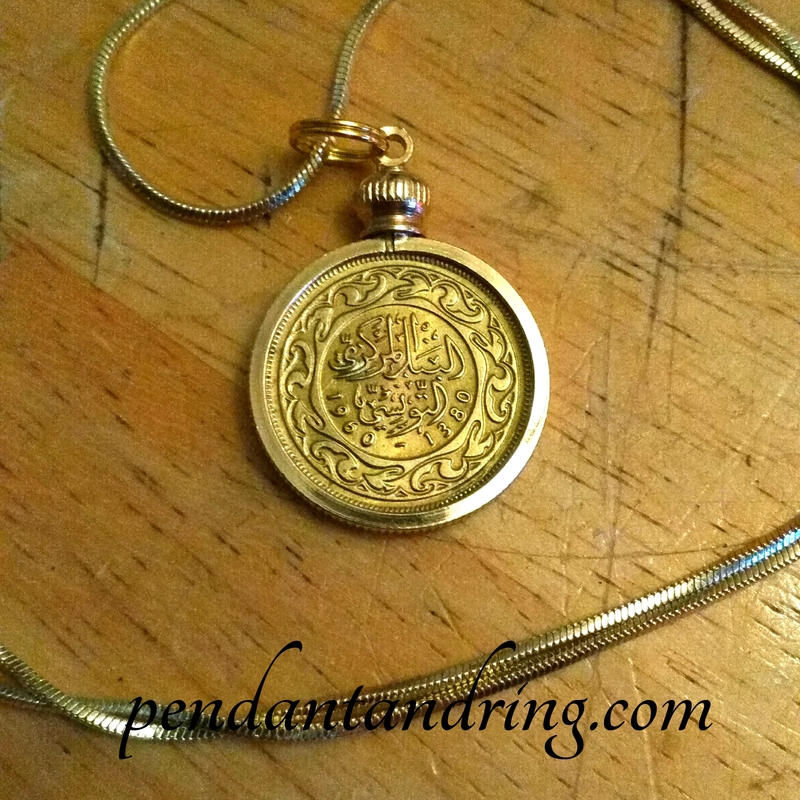 The chain is 18k Gold filled. 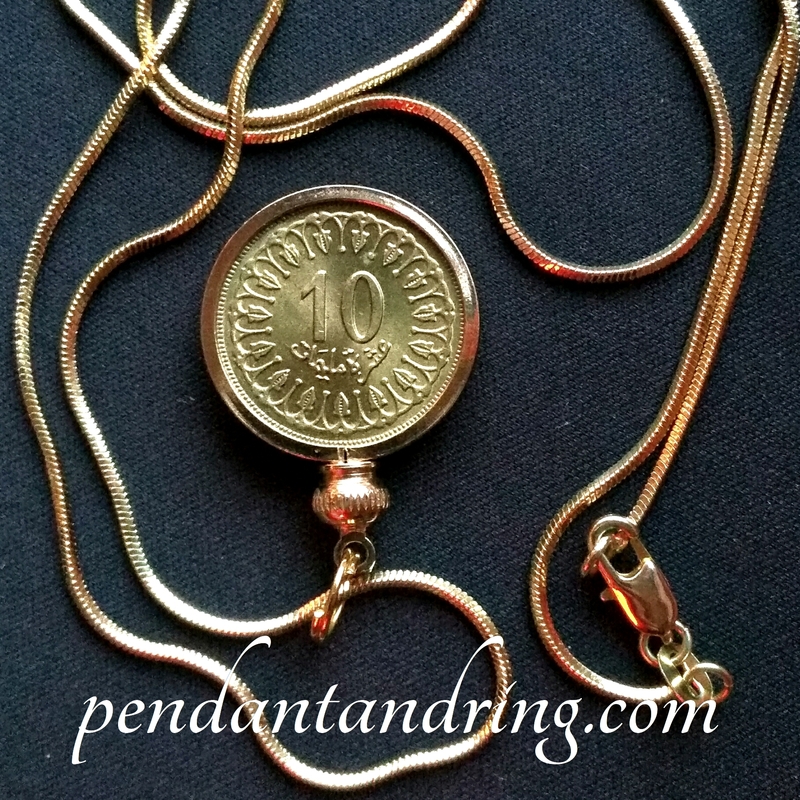 This real coin pendant is an excellent addition to any jewelry collection!